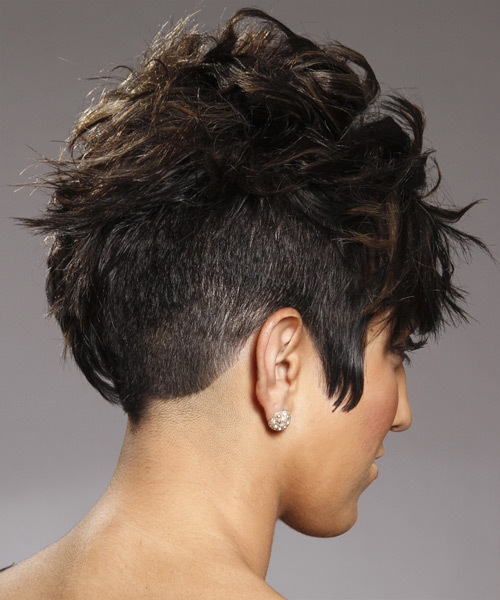 This funky hairdo is shaved down the sides allowing the length on the top to sit up and high for texture and shape. 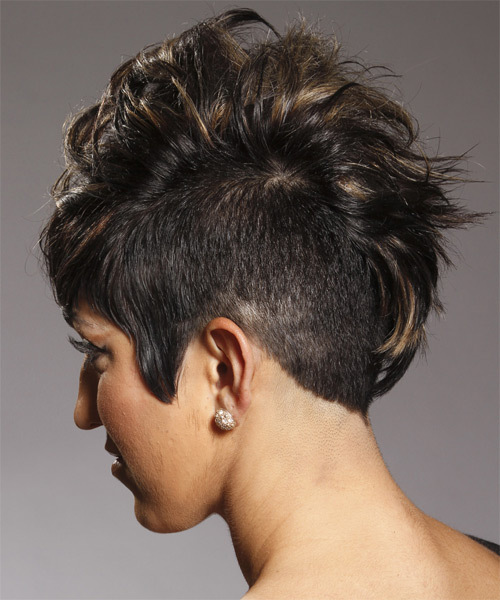 This hairstyle is best suited for those bold and brave and will need regular trims every 4-6 weeks to maintain the flamboyant shape. Use your fingers to pinch the styling products through to create a textured finish. Apply moulding cream to your palms and then roughly rub the moulding cream into back of your style. For a messier finish use circular hand movements. Apply moulding cream to your fingertips then gently rake through your bangs, sweeping the hair to the right as you go. Be careful not to use too much product as it can become sticky and clumpy.